The Czech Act No. 186/2016 on Gambling (the Gambling Act) defines gambling as a game of chance, betting or a lottery in which a participant wagers a bet while no return of such bet is guaranteed, and the win or loss is entirely or partly subject to chance or unknown circumstance. The Gambling Act further differentiates gambling into ‘types of gambling’, as set out below. Any other game that meets the general gambling definition but does not meet the requirements of one of the below listed types of gambling is prohibited. Therefore, when intending to operate a new game, it is crucial that it meets the definition of the relevant type of gambling. A numerical lottery, cash prize lottery, in-kind prize lottery or instant lottery. A game where a win is subject to guessing of a betting event (in particular a sport result or event of public attention). The prize is determined based on the winning probability (odds). See definition for odds betting; however, the prize depends on the number of winners, since at the end the total amount of wagered bets is distributed among all who correctly guessed the betting event. A game in which a win is subject to achieving the full predetermined pattern of numbers on the betting ticket. Such pattern on the ticket is marked off by the better based on the randomly drawn numbers that are called out in succession, while neither the number of the betters nor the payouts are determined in advance. A game operated through a technical device directly handled by the player (including, without limitation, reel slot machines, electromechanical roulettes and electromechanical dice). A game in which the players play against the house or one another at the live game tables, while the number of betters and bets at one spin (round of betting) are not determined in advance. A game where wins are determined based on a draw that includes only the betting tickets that have been sold. A knockout type of a card game tournament, in which the number of the game participants has been agreed in advance and the total deposits by one gambling participant wagered in one tournament do not exceed 500 koruna per 24 hours. Given that the types of gambling in the above table are the only forms allowed by the Gambling Act to be operated in the Czech Republic, it is important to consider whether the Gambling Act allows for fantasy league, pool betting, spread betting, skill competitions (e-sports) and free prize draws to take place. We understand a free prize draw to be quite similar to the Czech equivalent of ‘consumer lottery’ or ‘consumer game’ and, as such, to be permissible. Some forms of consumer lotteries were heavily restricted and even prohibited before the adoption of the Gambling Act.2 The Gambling Act itself does not limit consumer lotteries from being hosted as they are deemed to be a business practice (Directive 2005/29/EC) and not within the scope of the Act (i.e., they are not a type of gambling). Pool betting (pari-mutuel betting) is essentially the same as totalisator games as defined under the Gambling Act and, therefore, is allowed. Spread betting is not currently being offered by any one of the major licensed Czech gambling operators. In theory, such a game could be operated under the definition of a live game, but this, along with the game’s rules, would have to be discussed with the licensing authority, which is the Ministry of Finance (the Ministry). Fantasy league is not specifically regulated by the Gambling Act as a separate type of gambling, but its operation should be allowed under the Gambling Act as long as its rules meet the criteria of a live game or a technical game. Skill competitions, such as e-sports, are hard to pinpoint from a regulatory standpoint, since the term is wide ranging. Mere betting on an outcome of an e-sports match (or any other skill competition) is allowed, but would require an odds betting licence. However, a game, where one might bet on one’s own performance (pay participation fee) and where a win or prize is paid out at the end based on the participant’s results, might fall under the category of a live game as defined by the Gambling Act and, therefore, could require a gambling licence in order to be operated in compliance with the Gambling Act. The amount of luck or unknown circumstance in such a game is crucial when assessing whether or not a skill game requires a gambling licence. Hedging financial products (e.g., insurance) and gambling have a lot in common, since the outcome in both is dependent on luck or an unknown event. According to the Czech Civil Code, both fall under the category of aleatory (risky) contracts. The Civil Code further makes hedging financial contracts enforceable, unlike obligations from bets concluded between individuals (natural persons), which are not enforceable under the Civil Code. Note that bets made between a licensed gambling operator and individuals (consumers) are enforceable. Gambling is generally allowed and under the Gambling Act with the number of licences not being limited. Each applicant for a gambling licence is entitled to obtain it, provided that the regulatory requirements are met. However, on a local level, individual municipalities may decide to restrict gambling within its city limits. Municipalities are only able to restrict land-based operations of technical games, live games, bingo and small-size tournaments. Municipalities have no influence on the operation of online gambling. The gambling market is opened to anyone who meets the Gambling Act’s requirements. The Czech Republic neither owns nor operates any form of gambling. The only exception is the ‘receipt lottery’, which is planned to be launched towards the end of 2017. This is not, however, a real ‘lottery’ according to the Gambling Act, since the participation in it will be free of charge and open to anyone who submits a tax receipt obtained while purchasing goods or services. The intention behind the introduction of the receipt lottery is to increase tax revenues and not to compete with other gambling operators. Gambling in the Czech Republic is predominantly regulated on a national level with some regional aspects. Generally, each person applying for a gambling licence has to obtain a ‘basic licence’ from the Ministry. For certain types of land-based gambling (technical game, live game and bingo), the applicant needs to obtain an additional licence to ‘place a gambling venue’ from each city in which the gambling venue is planned to operate. Municipalities may decide to ban operation of technical games, live games, bingo and small-size tournaments within their city limits on a non-discriminatory basis. If a certain city bans gambling within its limits, the applicant won’t be able to operate in this city. Nonetheless, the basic licence would still be valid and the gambling operator would have the option to move its venue to another city. Additionally, small tournaments and raffles (if the prize pool is higher than 100,000 koruna) must be notified to a city in which they are supposed to be hosted, so that the city has the option to prohibit them. One of the intentions of the Gambling Act was to give the Ministry effective means of stopping offshore gambling operators from offering their services to Czech citizens. The Ministry was granted with the power to place a gambling operator without a Czech licence (e.g., a Maltese licence would not suffice) on a blacklist. Once blacklisted, payment and internet connection providers are obligated to block payments and internet connection to such entities. The Ministry’s ability to place entities on the blacklist is new, which means that whether it will be effective remains to be seen. To this date, the Ministry has already initiated several proceedings to place illegal gambling operators on the blacklist. Apart from the blacklist provisions, most of the illegal gambling operators that used to operate in the Czech Republic prior to the effective date of the Gambling Act have voluntarily decided to withdraw from the Czech market or cease their operation until they obtain a Czech gambling licence. The blacklist provisions of the Gambling Act may be interpreted rather broadly and even web hosting entities, and potentially other service providers, which enable illegal gambling may be placed on the blacklist. i individual decrees issued by municipalities restricting gambling within their city limits. The Ministry is the gambling supervising authority. Some gambling aspects are also supervised by the Czech Customs Administration (Customs) and by the local, relevant municipalities. Customs not only supervises land-based gambling operations but it is also the entity with exclusive powers to impose fines for violations of the Gambling Act with respect to land-based gambling. The Ministry supervises both land-based and online gambling, but it is only authorised to impose fines with respect to online gambling violations. Last but not least, municipalities grant, change or withdraw licences for gambling venues. The Gambling Act distinguishes between remote and land-based gambling. The most significant difference is that only a one-step licence process is required (basic licence) for operation of online gambling. In addition to the basic licence, land-based gambling operators need to obtain a gambling venue location licence (second step). Some municipalities may decide to exclude gambling within their territory, which means that the gambling venue location licence cannot be obtained for that particular location. Online gambling may be carried out within the whole territory of the Czech Republic and cannot be restricted on a local level. The aim of the Gambling Act is, however, to treat both online and land-based gambling equally and, therefore, the differences between the two are insignificant and usually originate from the nature of land-based gambling (e.g., no internet blocking) or online gambling (e.g., no video surveillance requirements). The number of land-based gambling venues is not limited by any national or local quota. A municipality may, however, decide to prohibit land-based gambling within its city limits. Such restrictions have to be carried out in a non-discriminatory way. Municipalities are not allowed to choose one specific gambling operator. With respect to types of gambling venues, there are only two types in the Czech Republic: casinos and gambling rooms (sometimes also referred to as gambling parlours). The differences between the two are mostly seen in the legally permissible scope of gambling offerings, number of slot machines and venue opening hours. Casinos may offer live games, technical games, bingo or a combination of live games with either technical games or bingo, and may be open for 24 hours. The number of technical game devices (slot machines) is, however, limited. If a casino intends to offer technical games, then at least 30 slot machines must be operated. For each live game table, a casino may operate an additional 10 slot machines. If 10 live game tables are operated throughout the day, then a casino may operate an unlimited number of slot machines, provided that at least 30 are already in operation. There is a minimal tax associated with the number of slot machines as stated in Section V, infra. Gambling rooms may only offer technical games and must operate at least 15 devices. A gambling room’s opening hours are limited to between 10am and 3am. Municipalities may further restrict the opening hours of gambling venues by a decree. Betting shops (venues offering sports betting or totalisator games) are not considered as gambling venues and, therefore, do not have to meet the same regulatory requirements. Lottery tickets may also be sold without any venue-specific restrictions and, therefore, lottery tickets are normally sold at post offices, tobacco shops, etc. Not even municipalities are empowered to restrict land-based sports betting, totalisator games and sales of lottery tickets within their city limits. Remote (online) gambling is generally allowed and the same regulatory obligations as for land-based gambling apply. Only raffles and small tournaments may not be provided online. Gambling operators need to obtain a basic licence for the operation of online gambling (lotteries, odds betting, totalisator games, technical games, bingo or live games). Online gambling operators are prohibited from providing any devices (tablets, etc.) to players enabling them to play an online game of chance on such device. 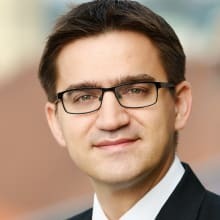 If this restriction would not be in place, the secondary licence to place a gambling venue that grants municipalities the power to decide whether or not to allow gambling within their city limits would lose its purpose, since online gambling licences are valid within the whole territory of the Czech Republic. Gambling operators are not required to purchase gambling equipment from licensed entities and are free to choose from a variety of national or even foreign suppliers. However, in order to use a gambling device in a gambling venue, the gambling operator has to get the gambling device certified and obtain a professional assessment and approbation of service worthiness for such device. Certifications may be issued only by professional entities appointed by the Ministry. According to the list of appointed professional entities maintained by the Ministry (last updated on 8 February 2017) only three entities are able to issues certifications. Individuals holding a managerial or similar position within a gambling operator do not require any specific personal licence. An applicant for a basic gambling licence must, however, demonstrate to the Ministry that he or she possesses extensive experience, including dealing with personnel and in an organisational capacity, to operate gambling. According to Ministry’s guidance note on the basic licence application, an applicant needs to cooperate with at least five individuals who have more than three years of experience with gambling operation and provide the Ministry with excerpts of their CVs. With respect to video surveillance of gambling venues, the Gambling Act requires the gambling operators to make a back-up copy of their surveillance footage, and to store the original and back-up footage for two years. As outlined in Section II.iii, supra, the licensing process is different for online and land-based gambling licence applications. The land-based gambling licensing process has two steps (basic licence and venue location licence), while the online gambling licensing process has only one step (basic licence). The difference between the land-based and online licensing processes is not significant, as it mostly reflects the nature of the type of gambling. f a document on the location of the gambling servers if a game uses RNG. Other documents may be required for specific types of gambling, for example, an applicant applying for land-based live games has to provide the Ministry with a sample of the casino chips set. The documents may not be older than three months at the time of submission of the application. The Ministry issued a guideline on how to properly file and fill out a gambling licence application (available only in Czech). The basic licence may be issued for a period of up to six years and may not be transferred from one entity to another. According to the Gambling Act, a prolongation of a basic licence is not possible. Licence fees are relatively low in the Czech Republic – for example, the fee for a basic licence is only 5,000 koruna. The process of granting a basic licence should, according to the Code of Administrative Procedures, take 30 days (or 60 days in difficult cases). The reality, however, may be different, as the time for awarding the initial licences by the Ministry has taken longer than this. e a scheme of the video surveillance system. This means a one-page scheme that will demonstrate that the locations of individual cameras are sufficient (specific technical requirements are not set by the Gambling Act for video surveillance systems). The licence for a gambling venue may be granted for the term of the legal effects of the basic licence, but for no longer than three years. The scope of both the basic licence and the licence for a gambling venue may be altered upon application. Small tournaments and raffles (with prize pools higher than 100,000 koruna) have to be notified to the territorially relevant municipality, which may decide to prohibit them from taking place. The notification is administratively less demanding. Both natural persons and legal entities may be sanctioned for non-compliance with the Gambling Act and related gambling legislation. 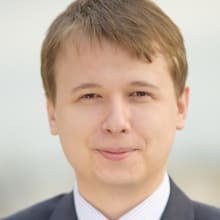 The Czech legislation defines two types of breaches of the law based on their severity and associated sanctions: administrative offences (less severe, usually sanctioned by a monetary fine) and criminal offences (more severe, often sanctioned by imprisonment). Since gambling entails overlays to other respective fields, such as employment, advertising, tax, anti-money laundering and data protection, it is quite impossible to enumerate all possible breaches of gambling-related legislation. Usually, breaches of ancillary legislation (advertisement, data protection, employment, etc.) will constitute only an administrative offence, which might be sanctioned by a monetary fine. Breach of the Gambling Act might also be punished by monetary penalties, but if the breach is severe enough, then an injunction of gambling operation might also be used as a sanction. Additionally, if the gambling operator ceases to comply with the licensing terms, the gambling licence might be withdrawn. Illegal operation of gambling constitutes a criminal offence in the Czech Republic. Usually, the criminal proceedings are led against Czech nationals (natural persons) who operate unlicensed land-based slot machines. It is just a matter of time until criminal proceedings will be initiated with natural persons operating illegal online gambling. Generally, even legal entities are criminally liable in the Czech Republic. Therefore, a legal entity may be criminally liable for illegal gambling operation, tax evasion or money laundering. Gambling operators must take steps to prevent crime and other wrongdoing. As of 1 January 2017, an amendment of the Anti-Money Laundering Act has become effective, newly requiring gambling operators to carry out identifications of players and know-your-customer processes similar to those carried out by payment and credit institutions. Anti-money laundering legislation is, however, very complex and outside the scope of this chapter. Gambling is subject to a special sector tax under the Gambling Tax Act. The tax basis of the gambling tax is the difference between the total value of accepted bets or wagers and the total value of paid winnings (the tax base). The gambling tax rate is 23 per cent of the tax base, with the exception of technical games that are subject to a 35 per cent tax rate. Additionally, land-based operators of technical games have to account for a ‘minimum tax’ per each slot machine, which is 9,200 koruna per calendar quarter. The gambling tax is paid on a quarterly basis. Each gambling operator (even an illegal operator) is subject to gambling tax regardless of the location of its registered seat or main office. If a gambling operator has a registered seat or main office within the territory of the Czech Republic, then it is subject to corporate income tax. The corporate income tax is 19 per cent of the net income of a company. If a land-based gambling operator serves drinks, beverages, meals or cigarettes in the gambling venue, then it also has to pay value added tax, which is currently 21 per cent. Gambling operators are prohibited from offering free beverages or cigarettes to players. Players’ winnings are not subject to any additional taxation, provided that the players’ winnings come from a game held by a licensed gambling operator with a licence from an EU or European Economic Area Member State. Winnings from a gambling operator with a Maltese licence are, therefore, not subject to any personal income tax. Advertising of gambling is permitted in the Czech Republic. However, this is only true for gambling operators with a basic licence. d must include the text: ‘Ministry of Finance cautions: Participation on gambling may lead to addiction!’. Natural persons and legal entities that ordered, manufactured or spread advertising in breach of the above-mentioned advertising restrictions are liable under the Act on Advertising and may face monetary fines. Advertising of illegal gambling may, depending on its volume, constitute a criminal offence as well. Additionally, a gambling venue must not use any advertising, or display any message or any other gambling promotion for winning opportunities (including through text or audiovisual means) on the exterior of the gambling venue. A casino or a gambling room may only indicate that the premises is a ‘casino’ or ‘gambling venue’ on a sign that is near the entry to the venue (only one sign is required). Windows and displays of gambling rooms must not allow anyone to see the venues’ interior from the outside. Such promotional restrictions are contained in the Gambling Act and may therefore be punishable by monetary fines or even by injunctions of gambling operation (for up to two years). 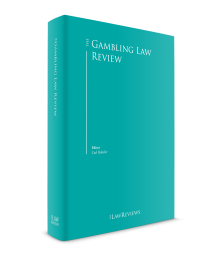 As mentioned in this chapter, a number of changes have been made to the Czech gambling legislation (new Gambling Act, amendments to Anti-Money Laundering Act, Act on Advertising, and the new Act on Gambling Tax just to name a few). With respect to case law, the placement of an illegal online gambling website on the list of illegal gambling operators (blacklist) and the related internet provider (IP) blocking provisions have been contested on a constitutional level by a group of 21 senators who filed a motion with the Constitutional Court to declare the relevant IP blocking sections of the Gambling Law unconstitutional, claiming they could be a form of unconstitutional censorship. The Constitutional Court, however, upheld the wording of the Gambling Act and kept the relevant provisions intact. No additional gambling case law has been published. There are quite a few interpretational issues with respect to the Gambling Act and especially gambling advertising (use of trademarks, sponsorships, etc.). We are hoping that the Ministry or Customs will decide to issue some additional guidelines that would help the gambling operators navigate through the interpretative issues, especially with respect to advertising. Furthermore, the Gambling Act does not expressly provide any e-sports or social gaming provisions. Nonetheless, the legal definition of a game of chance under the Gambling Act is quite wide and may even include e-sports. This issue has not yet been addressed by either the Ministry or the courts of law. The Ministry is currently preoccupied with the licensing procedures, but when those are finished it is expected that the Ministry will pay more attention to e-sports regulation owing to its increasing popularity. 1 Vladimír Krasula is a junior associate and Vojtěch Chloupek is a partner at Bird & Bird sro advokátní kancelář. 2 See Section 1 of Act No. 202/1990 on Lotteries and Other Like Games.